International design festival STRELKA is transforming into a new format in next year. Since 2016 the new name of STRELKA is International design biennale STRELKA. The workshop "Designer's happiness: life and creativity" will be held on 4-30 p.m. on 3-th October. 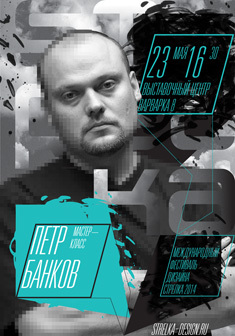 Vladimir Dobrovinsky - the famous Russian designer and curator of nonprofit projects - will tell about his works and projects. The Opening ceremony of International design festival STRELKA will take place at the exhibition center "Varvarka 8" on October 3 on 6-00 pm. The laureates of International poster action "Lautrec Today" will be awarded on 6-30 pm there. Designers from Argentina, Belarus, Bolivia, Chile, Colombia, Czech Republic, Ecuador, Estonia, Finland, Germany, Greece, Hungary, Iran, Mexico, Peru, Poland, Russia, Serbia, Spain, Turkey, USA, Ukraine, Venezuela have sent their poster to participate in this action. 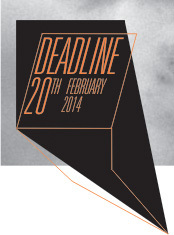 Members of Pre-Selection Committee decided to include in the shortlist 60 posters from 48 designers. Welcome to the meeting with Peter Bankov! "Varvarka 8", exhibition hall, 8/22, Varvarskay st.
To participate fill in the registration form via e-mail. The Opening ceremony of design festival "Strelka 2014" will take place in the exhibition hall "Varvarka 8" in 18-00 on May 23th. 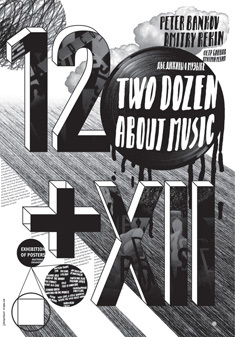 The Award ceremony of winners of International poster action "World War I - 100" will take place at the same hall in 18-30. Designers from Belarus, Bolivia, Bosnia and Herzegovina, Chile, Czech Republic, Ecuador, Estonia, Finland, Greece, Hungary, Iran, Mexico, Northern Ireland, Poland, Russia, Serbia, Turkey, USA, Ukraine, Venezuela have sent their poster to participate in this action. Members of Pre-Selection Committee decided to include in the shortlist 59 posters from 44 designers. Thanks to all of the designers, who have sent their posters to the action! In the nearest future, the Pre-Selection Committee will start working. The shortlist will be published on the our website and FB page after March 20. NEW! 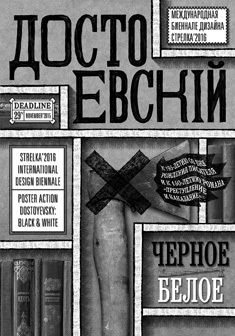 In according with Organizing Committee decision the design festival STRELKA 2014 will be held in May (the first part devoted to the Poster action “WORLD WAR - 100”) and in September (the second part devoted to Poster action “LAUTREC TODAY”). 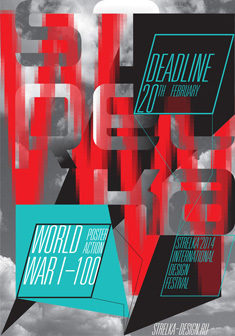 The design festival STRELKA 2014 will mark 100 years since the start of World War I. “World War I – 100” is a poster competition dedicated to the war that forever changed the world, led to the death of millions of people and to the emergency of fascism; the war that caused revolutions and destroyed empires. It’s the period when for the first time in human history weapons of mass destruction were used. The STRELKA is open to both professionals and students from any field of design. Participants can look for inspiration in any topic connected to WWI. They are allowed to use posters created before, as well as the ones prepared specially for the contest. The works selected by the Selection Committee will be exposed at the festival and published in the final catalog of the design festival STRELKA. The quantity of works provided by one participant is not limited. 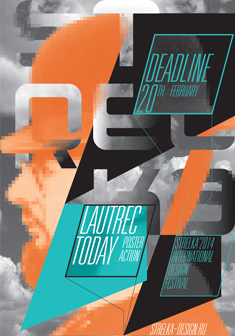 During the design festival STRELKA 2014 we will organize a poster action “Lautrec Today”. This action is dedicated to the 150-th birth anniversary of a great French artist and poster artist – Toulouse Lautrec. The STRELKA is open to both professionals and students from any field of design. What does Lautrec mean for you today? How do you interpret his life and creative works nowadays? For this category we accept posters that are created especially for the event. The works selected by the Selection Committee will be exposed during the festival and published in the final catalog of the design festival STRELKA. © 2014 Organization Committee of the design festival STRELKA If you publish the materials of the site, the reference to the source is obligatory!